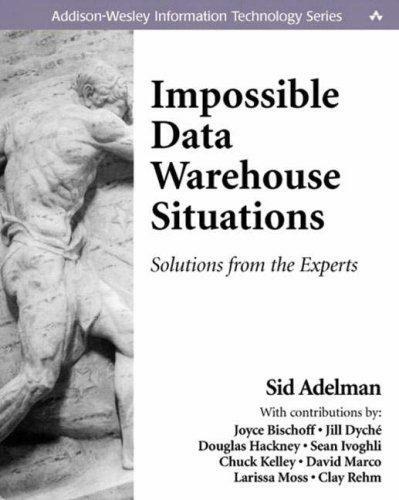 1 edition of Impossible Data Warehouse Situations found in the catalog. 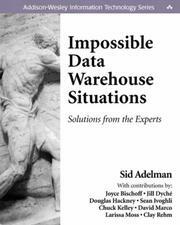 Are you sure you want to remove Impossible Data Warehouse Situations from your list? Published October 1, 2002 by Addison-Wesley Professional .